Window Magic is one of the best uPVC windows and doors dealers in India, as it offer customers innovative, stylish and high quality uPVC profiles for both residential and commercial drives. The company also takes care of customer’s thoughts of designing home and turns them into a whole work of art in order to enable you to live in a pleasant environment. The splendor of windows is more than just skin deep; professionally built and installed uPVC windows are also an effective line of defense against intruders. 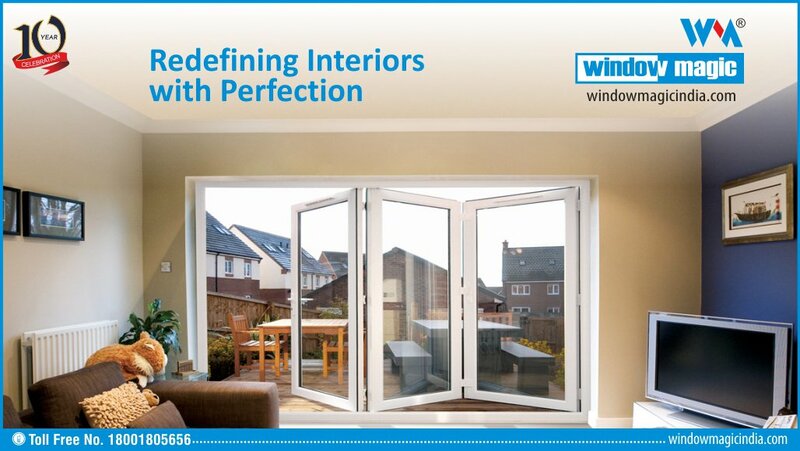 uPVC windows price offered by Window Magic is reasonable. Our uPVC windows and doors price list is so convenient that it will not affect your budget even a little bit. Window Magic services are tailored to meet customer’s requirements, which is sure to be highest in terms of quality. We offer an extensive range of windows and doors including uPVC Tilt and Turn Windows to meet the requirements of renovation and new construction applications in a building. Whether it is a sliding door or a casement door, or a tilt and turn window, the company through its products, stands out from all other uPVC Windows Dealers. The company includes an impressive portfolio of uPVC profiles including a wide range of color and multiple configurations to choose from. Windows provided by the company visually enhance both the interiors and the facade of any place. At Window Magic, uPVC profiles are manufactured by high-quality compound and smooth gloss finish, which ensures that the windows retain their pristine appearance indefinitely. So, if you are looking for uPVC Suppliers then immediately get in touch with Window Magic to give your house an elegant look.